Because evolution endowed humans with a complement of ten fingers, a grouping size of ten seems natural to us, perhaps even ideal. But from the perspective of mathematics, groupings of ten are arbitrary, and can have serious shortcomings. Twelve would be better for divisibility, and eight is smaller and well suited to repeated halving. Grouping by two, as in binary code, has turned out to have its own remarkable advantages.Paul Lockhart reveals arithmetic not as the rote manipulation of numbers―a practical if mundane branch of knowledge best suited for balancing a checkbook or filling out tax forms―but as a set of ideas that exhibit the fascinating and sometimes surprising behaviors usually reserved for higher branches of mathematics. The essence of arithmetic is the skillful arrangement of numerical information for ease of communication and comparison, an elegant intellectual craft that arises from our desire to count, add to, take away from, divide up, and multiply quantities of important things. Over centuries, humans devised a variety of strategies for representing and using numerical information, from beads and tally marks to adding machines and computers. 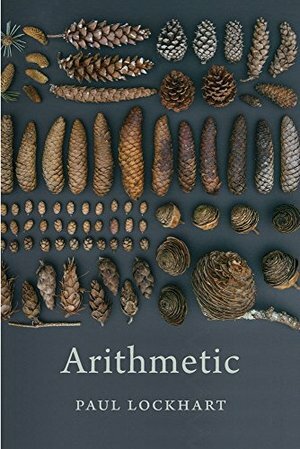 Lockhart explores the philosophical and aesthetic nature of counting and of different number systems, both Western and non-Western, weighing the pluses and minuses of each.A passionate, entertaining survey of foundational ideas and methods, Arithmetic invites readers to experience the profound and simple beauty of its subject through the eyes of a modern research mathematician.